Salad dressing is one of those things that is so easy to make at home, and yet most people have never made it. Some of you may be asking, why would I want or need to make my salad dressing at home when I can buy a bottle of it inexpensively at the store. Well, my answer is part taste and part control. First of all I love the taste of homemade salad dressing. It has such a fresh flavor that you can not get in a bottled salad dressing. Second, is the control part. I get to control the ingredients if I make it at home. Have you ever read the ingredients in a bottle of salad dressing? Most of them are things that I cannot pronounce, not only that bottled dressings often contain a lot of salt and sugar. One of the best things about homemade salad dressing is that I can make it to my family’s taste and control things like salt and sugar. If you like a little more sweetness to a dressing add a little more sugar. If you like a little more spice you can add a little extra mustard. 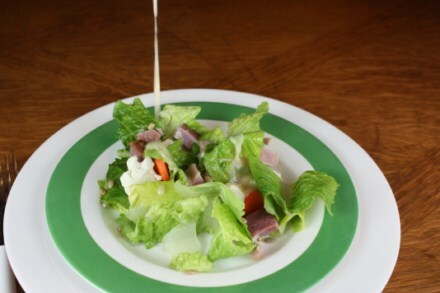 Start with a basic salad dressing recipe and adjust as needed. Now I will admit one of my children is a die hard ranch dressing fan and according to them bottled is best. So, I am not so anti bottled salad dressing that I do not buy it. There is almost always a bottle of ranch dressing in my fridge, but overall I prefer homemade salad dressing. 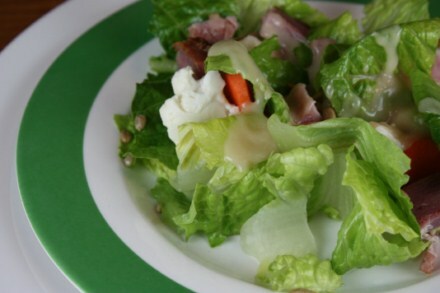 This Lemon Dijon Salad Dressing in one of my favorites. The mustard gives it a little kick and the lemon compliments the mustard nicely. In a blender or food processor, combine all ingredients but the oil. Pulse a few times to combine. Slowly add the oil through the top while the blender is going. This will help the dressing combine well. Once combined well serve over salad. over christmas i bought a salad dressing bottle/emulsifier just so i would start making my own dressing and not relying on store-bought so much. thanks for the recipe, this sounds delish! I think you just convinced me to try this! Since going GF I rarely use any store bought dressings and you have tempted me to make this. Thank you! Love the recipe and love the new “Print Recipe” feature, it just worked really well. I agree with you on how scary the ingredient list is on bought salad dressings.